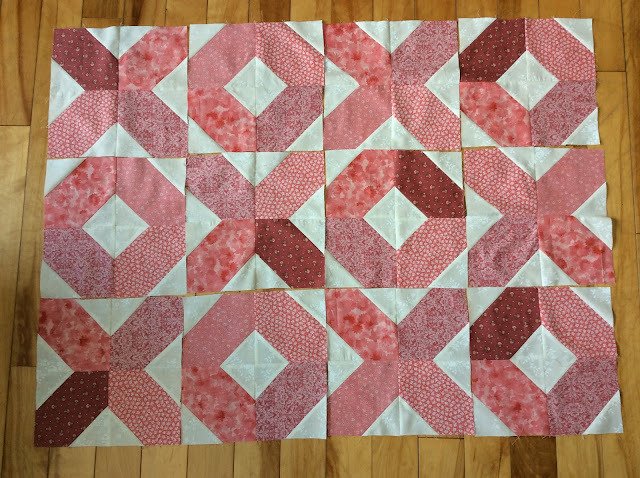 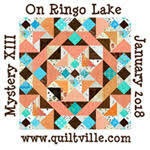 I receive The Quilt Show Newsletter and there was a link to a tutorial for a Hugs and Kisses Table Runner from Jen at Shabby Fabrics. 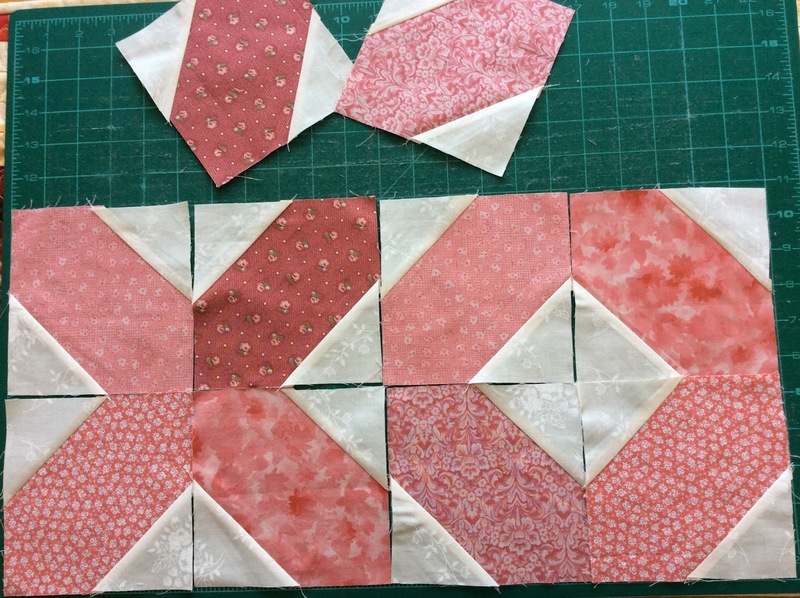 I thought it was really cute and easy so decided to make it. 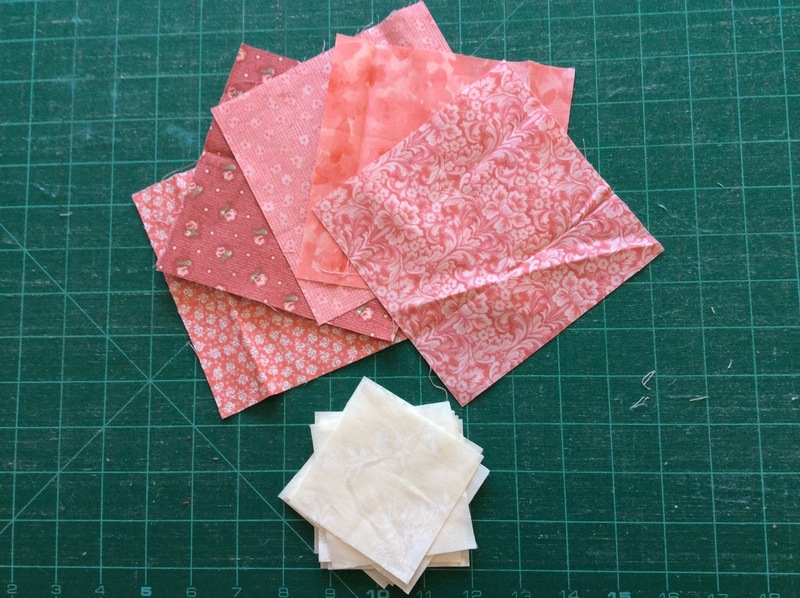 You need 5.5" squares of pink fabric in multiples of four and eight 3" squares of background fabric for each X or O. I chose 5 pink fabrics and one of the off-whites I bought yesterday. Sew the background squares from one corner to the other on two opposing corners of the pink squares. 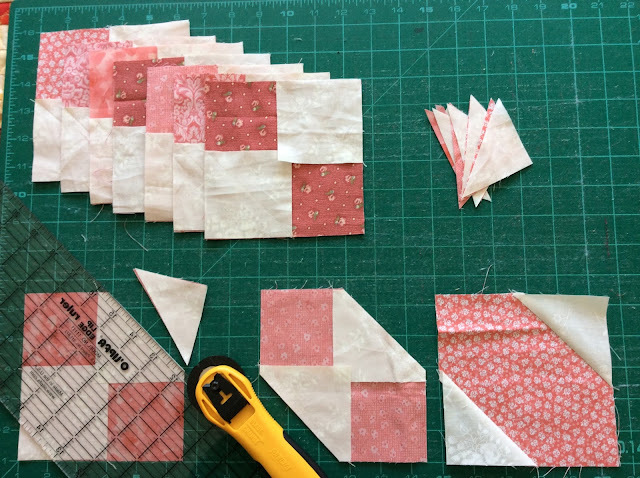 Trim the excess corners off 1/4" beyond the diagonal seam line and then iron the remaining triangles outwards. Point the pink fabric inwards to create the X's or place the pink fabric crosswise to make the O's. Because it's so easy, make lots!